Sitting high up in the stands with a panoramic view of the playing field it's easy to cast an overall opinion of how the game's panning out for both the team and the individuals. We can tell if someones performance is under par, if their link up play and distribution is missing something in its execution, or if their legs look like they're made out of lead. It's easy to tell when to bring someone off and make either that tactical switch to break down the opposition or the like for like to save somebody's afternoon from plummeting further into a personal nightmare. Isn't it? 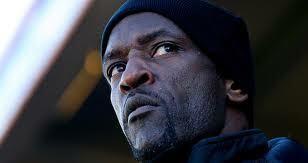 Chris Powell has come under some criticism of late for both his tactics and his substitutions. Perhaps it's a little harder when you're stood in the technical area and fifteen to twenty thousand people are hoping you can see what they can, all few hundred different versions of it. It may even be a little harder when you're reportedly unhappy with the way your new bosses choose to run things. In knowing too many wrong decisions could ultimately cost you your job, these easy like for like decisions with twenty five minutes to play and a winger puffing like a chain smoker climbing a mountain, take a moment or two longer to debate before taking the plunge and informing the fourth official. Once injury has wreaked havoc on your squad some options will answer themselves but how do you really know where to play someone out of position? Centre halves as emergency strikers due to an aerial prowess is a good old fashioned recipe, and nowadays more and more players are coming through with an ability to use both feet allowing the option of changing flanks, sometimes swapping back and forth during the game. Steve Brown could of course play anywhere. An old fashioned footballer that would give 110% whether in the heart of the midfield or in goal, Chris Powell would find life comfortable with eleven clones of Browny. Since Chris assembled HIS squad last summer (his first don't forget) things have been decidedly rosy. Following on from Alan Curbishley, the last of the great Charlton managers, Powell has won silverware in the form of a league title and in doing so strengthened his claim as a Charlton legend. And this is in his first full season in charge! Tough times were always ahead of him though, it was just a matter of when. It's how he deals with those tough times that will really make or break him and consign him to being a good rather than great manager. These periods of struggle and resolve will come back time and time to taunt and tease him should he have a long and fruitful career in management, so what better place to learn your trade and be able to experiment than the comfort and relative safety of somewhere you can truly call home. After what was a criminally poor performance at home to Barnsley we saw something different and drastic up at Leeds on Tuesday evening. Having been criticized by some for an almost pessimistic 4-5-1 at the weekend you may have expected to see a more regular 4-4-2 at Elland Road. Well i'll take my hat off to any man who predicted the 4-1-4-1 formation Powell started with. Chris Solly went back to his usual berth on the right giving the always overlooked Cedric Evina a start at left back. Evina probably thought this day would never come around. Lawrie Wilson was able to push up on the right to a position he was always very comfortable in with Stevenage, and as his confidence grows by the game he could be tough to displace. Again injury was to dictate as Dale Stephens pulled up with a tight hamstring during the warm up. Yet another injury headache for the gaffer who would be forgiven for starting to suspect a conspiracy. Bradley Pritchard would have to partner 'a still returning from injury' Jackson in the middle. Rob Hulse (i had almost forgotten we'd signed him) started, back at one of his old haunts, ahead of Wright-Phillips in the lone striker role, one in which he's probably the most suited of all the strikers at the club anyway. Behind him though, rather than a five man midfield with an attacking option playing 'in the hole', we had a flat four and defensive cover in the shape of Dorian Dervite behind them. My only view of the Frenchman had been pre season at Crawley where he played a regular centre back role and to his credit played it well. His start at Leeds was a true shock rewarded not only with commendation but also with a full debut goal. If it wasn't for the Leeds stopper, Paddy Kenny, Charlton would have come away with all three points as time and time again he denied the Addicks who finished the game most definitely wearing their shooting boots. What a complete turn around from Saturday. Chris Powell showed he certainly isn't going to shirk responsibility and sit back and watch the squad he has built fall apart at the seams in a lackluster attempt at survival. On his appointment many said it a brave move to risk going back to where you have a great reputation and risk losing it should things not work out. Chris Powell rubbished that at the time, if you worry about failing you'll achieve nothing. Tuesday was a masterstroke, who could possibly sit in the stands and doubt a man that can pull something like that out of his very stylish cap?